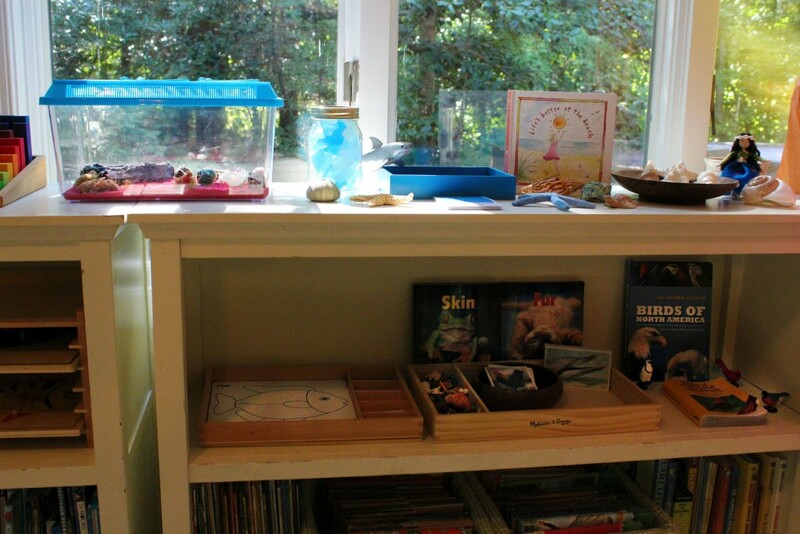 We love this new summer nature table. 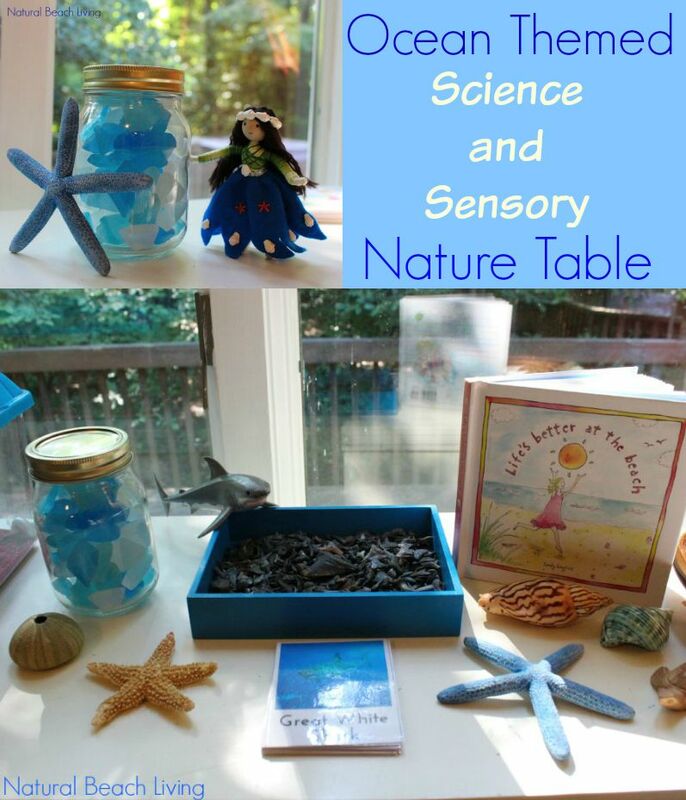 It’s not just a nature table; it’s a Science, Sensory, Nature table full of exciting items to discover. 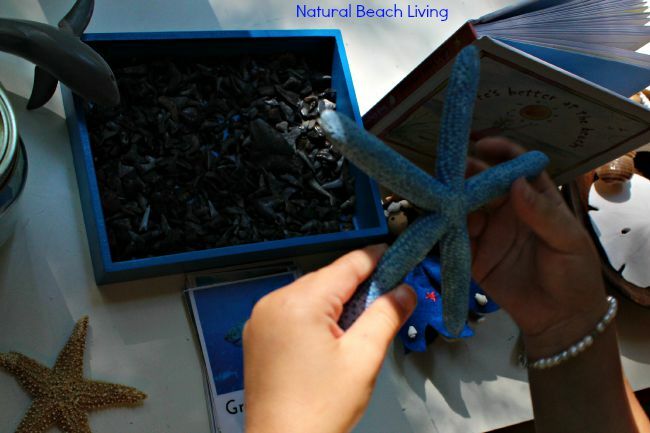 Think shark teeth, Sea Stars, Sea Glass, Sea Shells, books about the ocean and so much more. A wonderful Hands-on experience. 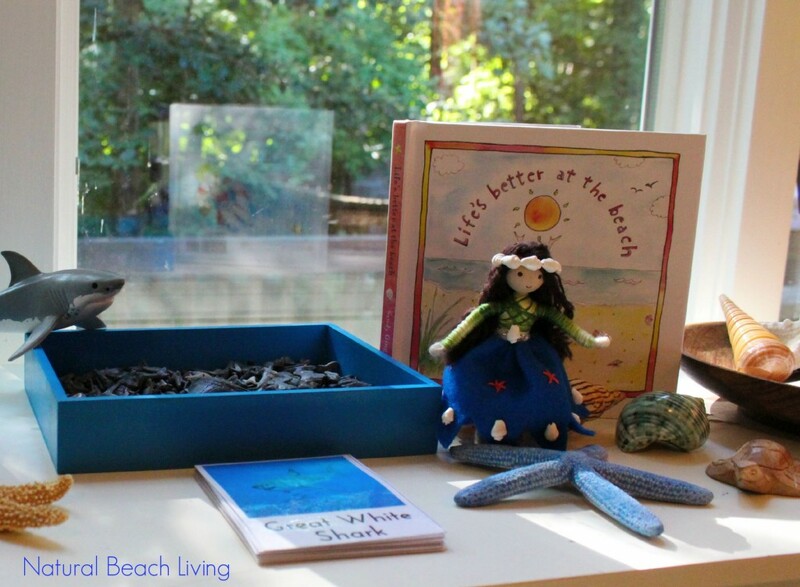 Our lovely shell fairy was handmade by Wildflower Toys. 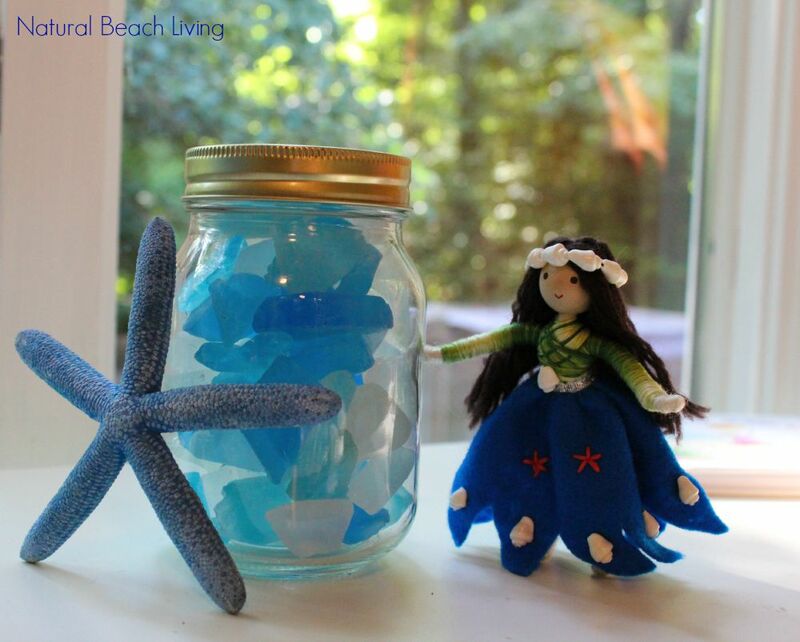 She is a great addition to our Ocean theme. 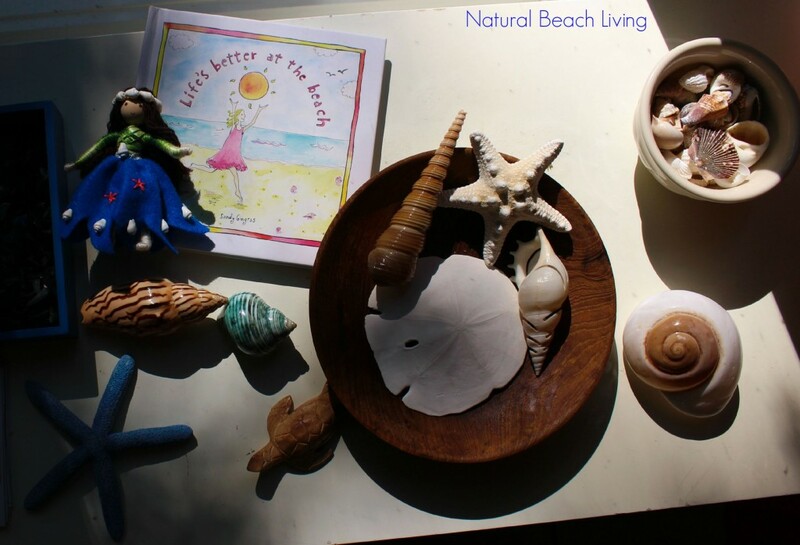 Bells is showing us a seagull in her beach book. She loves this ocean exploration area. 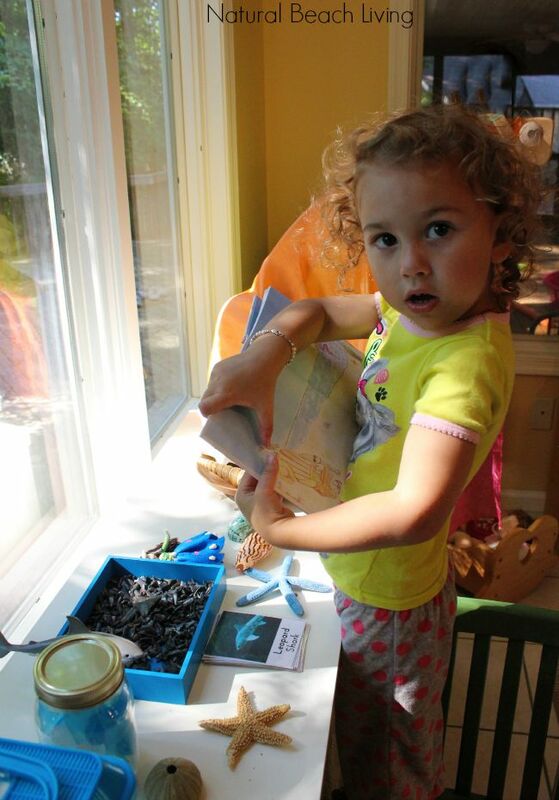 It is great to see kids excited and engaged with hands-on activities. 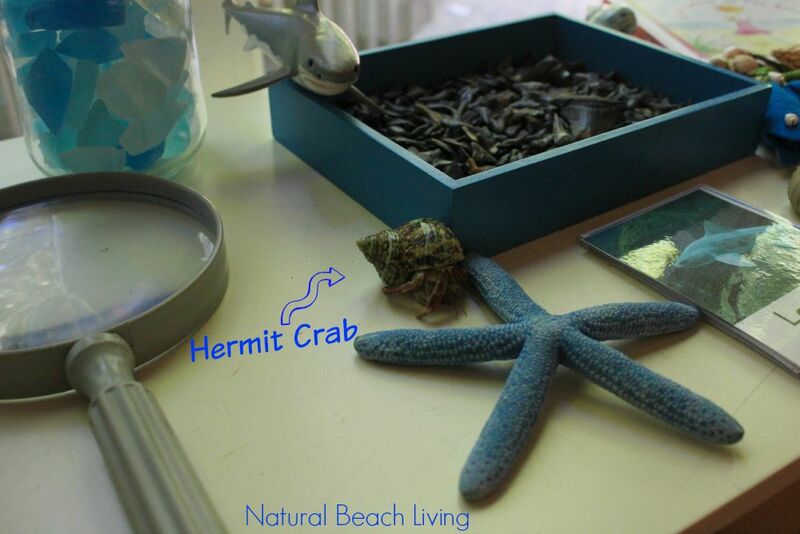 Just a few of our favorite shells and sea stars. This book, Life’s Better at the Beach is so good. I just had to add it to our table. This is probably one of my favorite and most unique sensory bins that I’ve put together it’s all real shark teeth. That’s right over the years we’ve collected shark teeth. The kids think they are so cool. 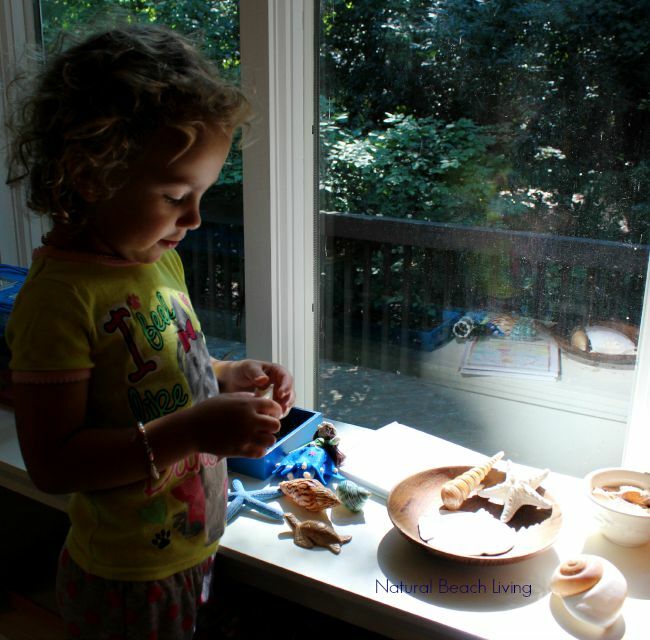 A nature table can be put together in so many ways, I love to incorporate hands-on experiences. You can see other spring nature table here. You can click over here and grab a set of these Sharks of the World Cards. 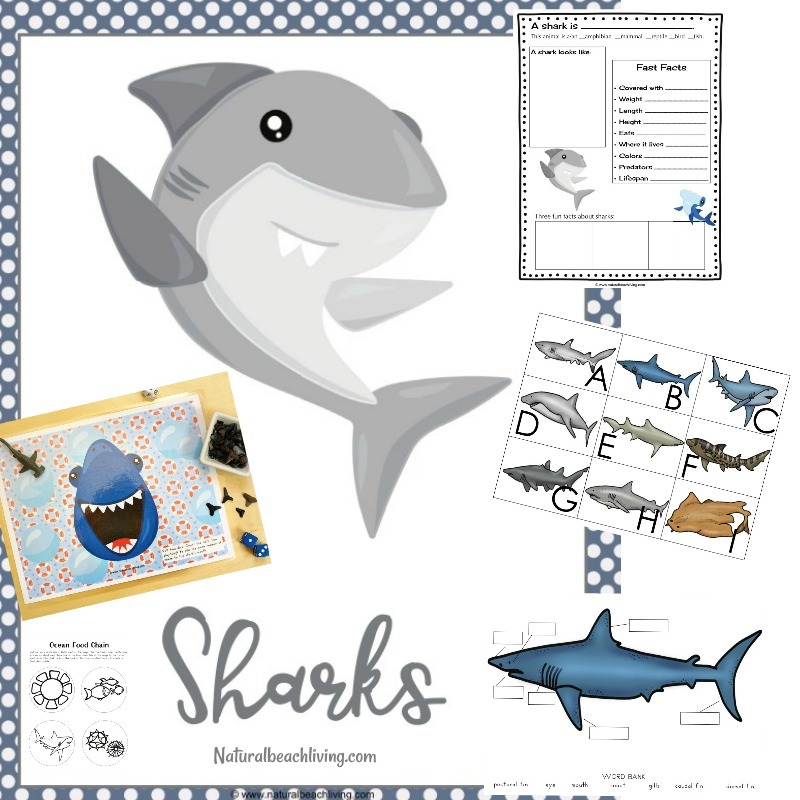 Plus, you’ll find great shark activities and printables. 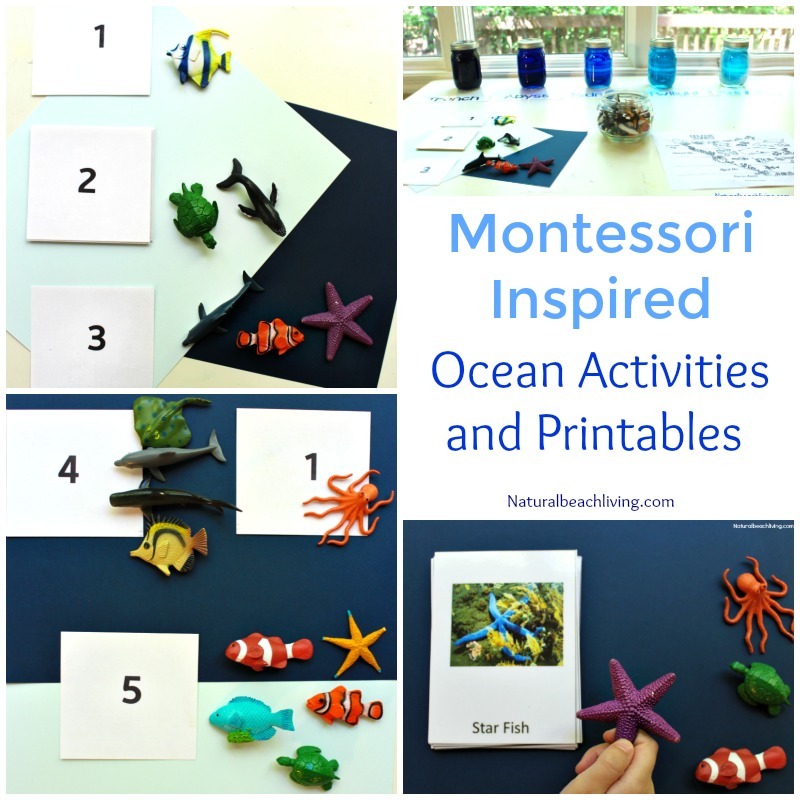 Ocean and Shark themes in the summer are so much fun! 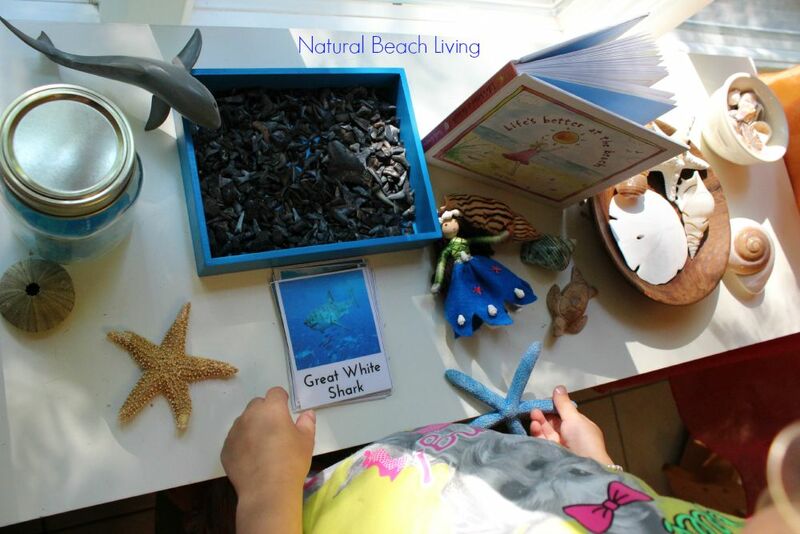 I hope you enjoyed a peek at this Ocean Science Table and get the chance to set-up your own one day soon. 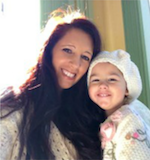 We love comments and visitors. 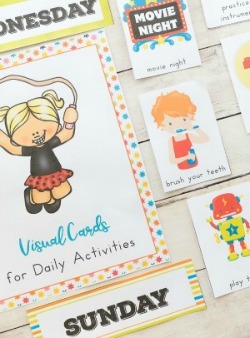 This is a lovely sensory post that makes me feel happy inside! 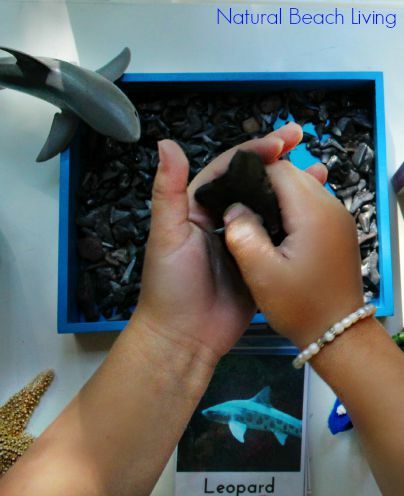 I love the shark teeth sensory bin. How cool is that!?! LOVE it!